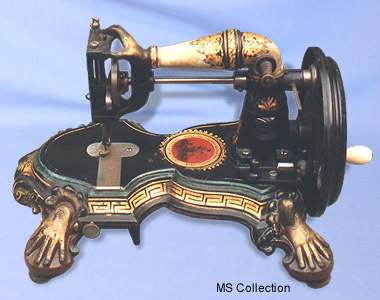 Rare sewing machine - Starley "Hand" machine 1. Manufactured by the Coventry Machinists of James Starley fame about 1870, this scarce model features a top frame in the form of a lady's arm and hand. The feet are also fashioned as outspread hands.